Manta was a custom car company based out of Southern California (run by brothers Brad and Tim LoVette) in the 1970s/1980s that built speedy looking fiberglass superkits using donor parts from Vettes and Beetles. The Montage was one of their later offerings and used a Volkswagen Type 1 donor engine/transmission to underpin a fancy looking fiberglass shell. 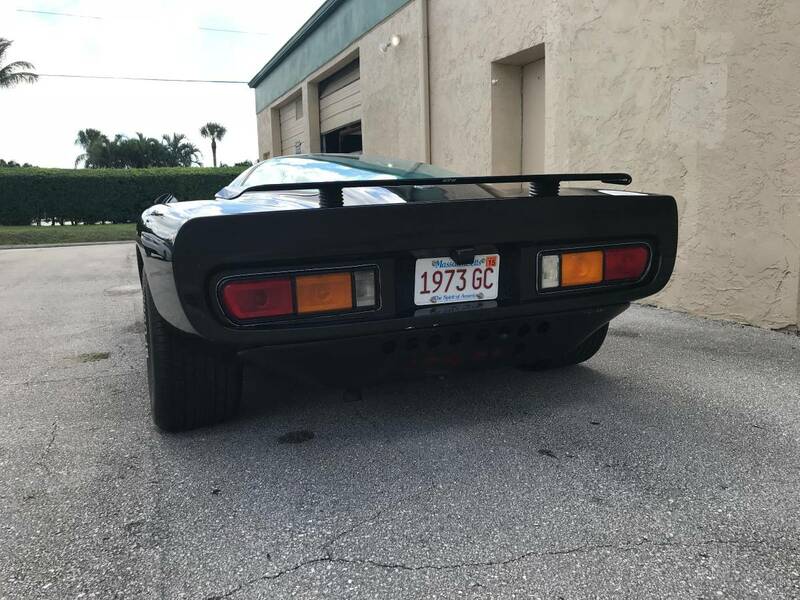 Find this 1984 Manta Montage M6GT offered for $15,000 in West Palm Beach, FL via craigslist. Tip from Rock On! This is a Manta montage. it has a ball joint front end and independent rear end VW beetle pan. 1600cc dual port motor. Runs and drives. I have bled the brakes, installed a new Empi carb, added adjustable spring plates and rear urethane bushings and chrome spring plate covers, and KYB shocks. new clutch adjuster wing nut. New steering box and rubber coupler, battery, and pos battery cable. New fan. New electronic ignition distributor. The paint is shiny black metallic in descent shape but not perfect. I just noticed 2 hairline cracks in the rear window so I added a pic. I recommend you come see the vehicle. It has AC but isn't currently working. Has a stereo that works well. LED headlights. The turn signals don't work along with the gas gauge and a few other gauges. I have had it 3 years and rarely use it much. Pretty rare car 1 of 220 or so especially in black. Currently registered and on the road. I use Hagerty classic car insurance for low rates and great coverage. Clean title in hand. Please only bid if you have the money. I have an enclosed trailer if you want it delivered for an additional fee. First rain shower during a Palm Beach June and the owner will need to divert all 7 hp from that 1600 to the blower motor...and it will still be 104 degrees inside it. According to the Palm Beach website, it has never been over 100 F in WPB since recorded time. Seriously. The HP to tire width ratio feels massively off on this one. I would think wheels and tires from an i3 would be ideal for this to be fun to drive. Not the fastest kit car. 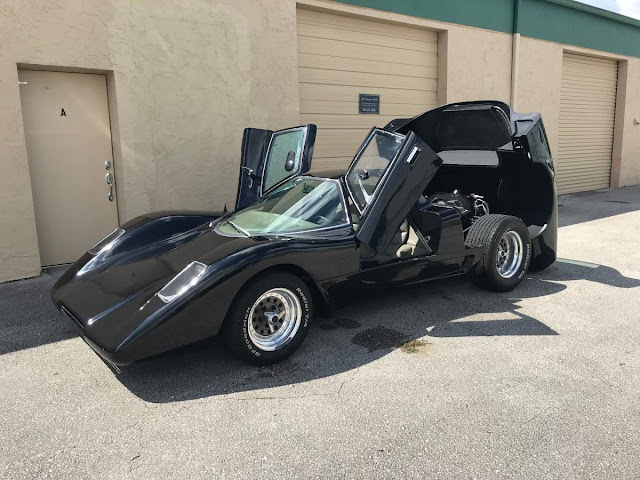 Not the most practical kit car, but still one of the most coolest looking! Makes me want to drive under a tractor trailer. It's not quite the same...the Coyote had a cutout rear window and didn't have a spoiler. The headlights were a bit different too. It probably sounded the same, the car had an engine a lot like this one, which probably means underpowered...toss something more modern in, with some power, and it should move. I always wanted to see one of these in person, it's a really pretty shape and looks fast just sitting there. 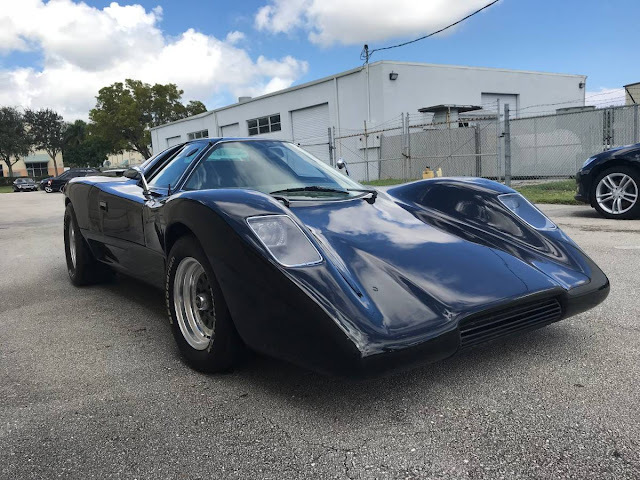 The original Coyote (a Manta Montage) was actually retired after season 1 and replaced with a heavily modified Delorean because Brian Keith had a hard time getting in and out of the VERY low McLaren styled kit car. The Ferrari interior and alternating between left and right hand drive are impressive as well! Rotary swap would fairly easy to do.